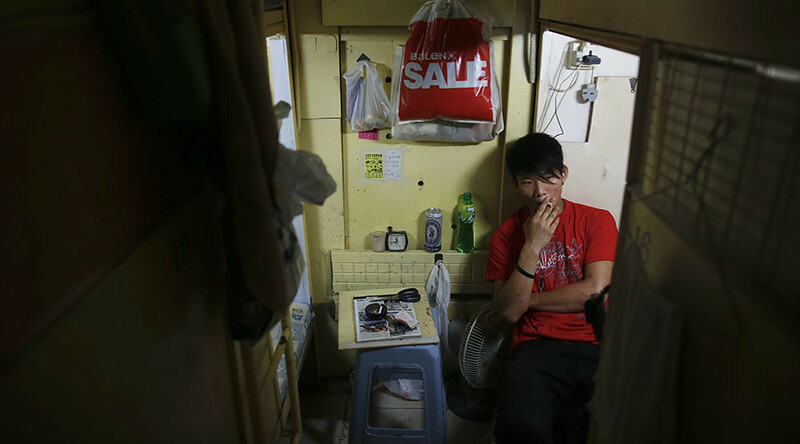 The high rents in Hong Kong are forcing some of its seven million people into so-called 'coffin homes,' or 20-square-foot cages just big enough to lie down and hang a few shirts and pairs of pants. Over the past five years, rental prices in one of Asia's wealthiest cities have increased nearly 50 percent, reaching an all-time high. The average price per square foot in Hong Kong is slightly lower than New York City, hovering at around $1,380. Hong Kong was recently named as the most unaffordable major housing market in the world. Officials acknowledge the housing problem and have pledged to build 280,000 additional public homes and 180,000 private homes by 2027. Hong Kong's chief executive, Leung Chun-ying, has called the housing crisis "the gravest potential hazard" to society, as only seven percent of the city's land is zoned for housing. The latest government figures show 1.34 million people living below the official poverty line in 2015, which is the highest number since 2009. The tiny homes with living space of just 2 meters by 1.3 meters and an average rent of $250 offer significant savings. Most of these so-called “homes” are cubicles, rather than the cages that dominated the market several years ago. The government estimates 200,000 people are living in such homes, but community organizations claim the number is much higher. “They don't even have enough room to stretch their legs, and such tight spaces may have many psychological and social impacts,” a social worker with the Society for Community Organization, Sze Lai Shan told the Daily Mail. The United Nations has described such housing as "an insult to human dignity." 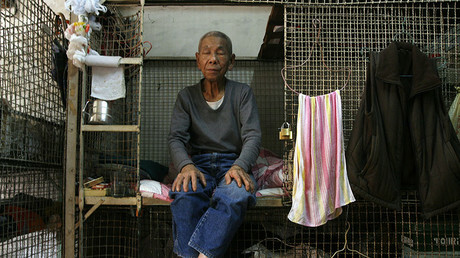 About a third of Hong Kong's population lives in public rental flats and hundreds of thousands are on the waiting list.